All but the first three pints of blood you may need in a calendar year are covered at no cost. Though hospitals sometimes provide the first three pints at no charge, you may have to pay a charge for these first three pints of blood, donate the blood yourself, or arrange for someone else to make a donation. Coverage is limited to medically-necessary part-time or intermittent skilled nursing care, physical therapy, speech-language pathology, or a continuing need for occupational therapy. A doctor must order your care, a Medicare-certified home health agency must provide it, and you must be homebound. Medical social services, some health aide services, durable medical supplies, and any required medical supplies for use at home are covered. Medicare Part A covers costs of a semi-private room, meals, skilled nursing and rehabilitative services, and other required services and supplies. Skilled Nursing Facility Care coverage begins only after you’ve had a three-day minimum inpatient hospital stay for a related illness or injury. For you to qualify for care in a skilled nursing facility, your doctor must certify that you need daily skilled care such as intravenous injections or physical therapy. Medicare doesn’t cover long-term care or custodial care in this setting. Medicare Part A covers the costs of a semi-private room, meals, general nursing care, drugs required during inpatient treatment, and other hospital services and supplies. Costs of required inpatient care at acute care hospitals, critical access hospitals, inpatient rehabilitation facilities, and long-term care hospitals are covered along with the cost any required mental health care. Hospital-room amenities such as televisions or telephones aren’t covered, nor are such personal-care items as razors or slipper socks. Private rooms may be covered if it’s determined they’re medically necessary. All necessary doctor and emergency room service are covered during your hospital stay. Your doctor must certify that you have a terminal illness and are expected to live six months or less. Coverage includes drugs for pain relief and symptom management; medical, nursing, social services; and some services Medicare usually doesn’t cover, such as grief counseling. A Medicare-approved hospice usually gives hospice care in your home (or in another facility such as a nursing home). Medicare covers some short-term inpatient stays for pain and symptom management that can’t be addressed at home, and these stays must be in a Medicare-approved facility such as a hospice, hospital, or skilled nursing facility. Medicare also covers inpatient respite care (providing your usual caregiver some rest) at Medicare-approved facilities for up to five days at a time. Hospice care can continue for as long as the hospice medical director or hospice doctor recertifies that you’re terminally ill.
Medicare Part A provides some important benefits, but it leaves gaps in your health care coverage. A Medicare Advantage plan may not fill these gaps completely, so it’s important to also consider a Medicare supplement insurance plan to give you the total coverage you need. 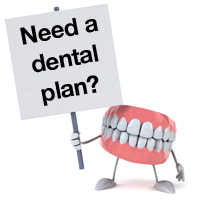 The right Medigap plan will save you a lot of worry as you face an uncertain future. Whether you’re new to Medicare, a Medicare veteran, or currently in danger of losing coverage, contact MedicareMall now and one of our agents will get right to the task of helping find the Medicare supplement plan or Medicare Advantage plan that’s right for you.